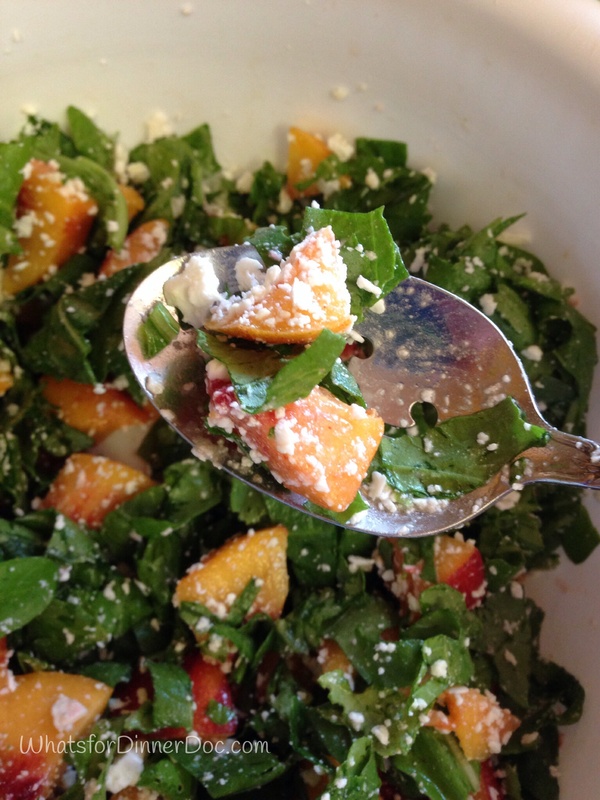 Make Time For Arugula Nectarine Feta Salad – What's for dinner, Doc? I’m on my way to Fiesta Friday with this three ingredient salad. Join us at The Novice Gardener. Thank you to our lovely host Margy@lapetitecasserole. You are not too busy to eat fresh delicious meals. I’m not listening to any excuses. Pick up a rotisserie chicken, fruit and greens on the way home from work and you will have dinner on the table before you can call for take out. With time to spare for a brisk walk around the block. Just do it! Voila, dinner is served in the time it takes to wash and chop. Previous Post What Would You Make For Dinner? Oh my the salad looks so refreshing and colourful….lovely combo as well…. Thanks Chitra. You are always so kind with your comments. 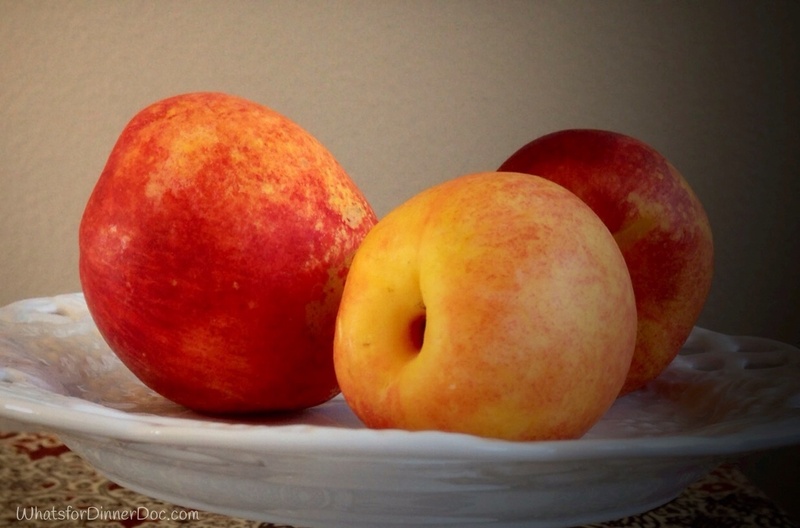 Feta works so well with fruit, watermelon in particular is one of my favorites but I love your combination of arugula, feta and nectarines. A little bite from arugula with a slight bitterness, the sweet nectarine and salty feta, really lovely!! I confess. I didn’t have any watermelon. Sweet, salty and green That’s all it takes. Beautiful salad! I love fresh ingredients like this on a warm summer day! You are so right ! it takes no time to make a good supper! It takes just as much time to pick up a bad meal. 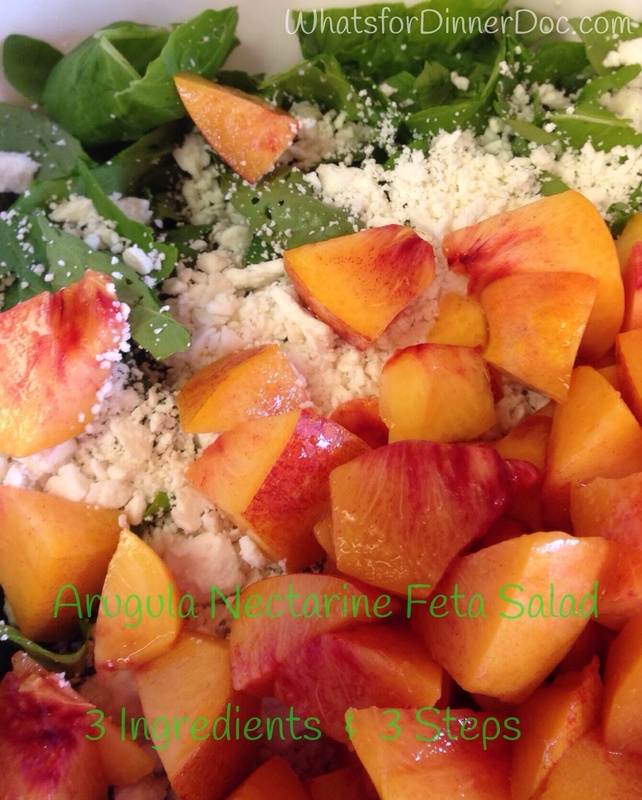 What a super yummy summer salad! Thanks for being at Angie’s party! Beautiful, simple salad. I wish I could direct all the people who tell me they don’t have time to cook to this delicious recipe. I have so much arugula growing in my garden right now, so appreciate learning another version of this salad. 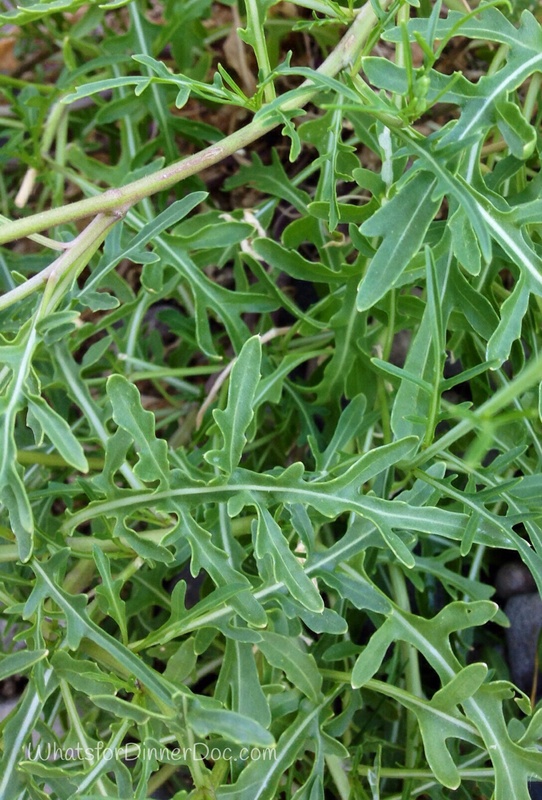 This arugula is growing wild in gravel near my lawn. I planted wild roquette years ago in my garden and this plant was a much loved volunteer. Glad you found your way. Have a snack before you head back.